Enjoying a healthy dose of food and drink – and life! – at every opportunity. Best Kitchen Sink Cookies. Ever. This recipe is from Patricia Wells’ book, At Home in Provence. It is lovely served with a fruit coulis, such as raspberry or apricot. I’m posting it for my Mom, who loves lemon desserts. Preheat oven to 325 F.
Generously butter and flour the pan, tapping the excess flour out. Set aside. In a large bowl, beat the vanilla extract, egg yolks and sugar at high speed until thick and lemon-coloured (about 3 mn). At low speed, gradually incorporate the ricotta and lemon zest. Beat until smooth. In another large bowl, beat the egg whites at top speed until stuff but not dry. Whisk 1/3 of the egg whites into the cheese mixture and combine thoroughly. With a rubber spatula, gently fold in the remaining whites. Do this slowly and patiently. Do not overmix, but be sure the mixture is well blended and no streaks of white remain. Pour the batter into the prepared cake pan. 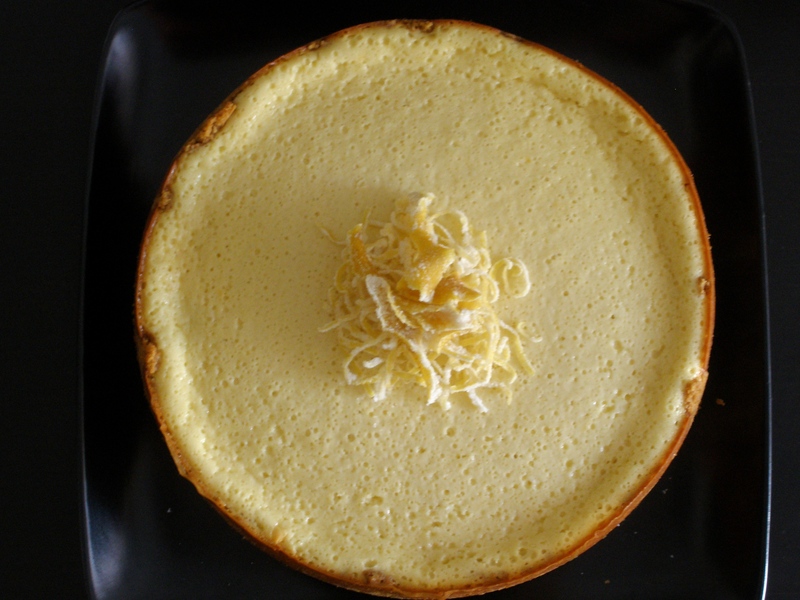 Place the pan in the center of the oven and bake until the cheesecake is a deep golden brown, is fairly firm in the center and pulls away from the sides of the pan. A toothpick inserted in the center should come out clean. Once cooked, cover the cheesecake with plastic wrap and refrigerate until serving time. (The cake can be made 1 day in advance.) To serve, release the sides of the pan, leaving the cheesecake on the pan base. Sprinkle the top generously with confectioner’s sugar and serve, cut into very thin wedges. Want to share? Please do! myrnaToddBread making is magic! I grew up with a mother who baked bread, rolls and sweet rolls twice a week. Jamie Oliver's Food Revolution recipes This site offers great affordable and healthy recipes. Jamie also has links to other food blogs. Rantings of an Amateur Chef This guy is amazing! He posts daily, with fantastic ideas and detailed instructions with pictures for his recipes. The Herb Gardener Great tips on herbs, gardening and general good living close to the earth. This Girl Can Eat A fellow foodie, and a dog lover – how can you go wrong?